About Insulation – RBH Insulation, Inc. Saves money and our nation’s limited energy resources. This fact sheet will help you to understand how insulation works, what different types of insulation are available, and how much insulation makes sense for your climate. There are many other things you can do to conserve energy in your home as well. The Department of Energy offers many websites to help you save energy by sealing air leaks, selecting more energy-efficient appliances, etc. This information originated at http://www.ornl.gov – The Oak Ridge National Library Building Envelope Research Division. Please follow the link for further Insulation information. – Should you begin insulating your home at the top, or the bottom? 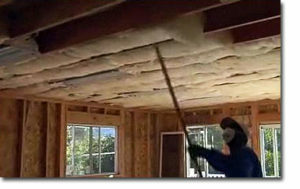 Find out about insulating your basement or crawl space.